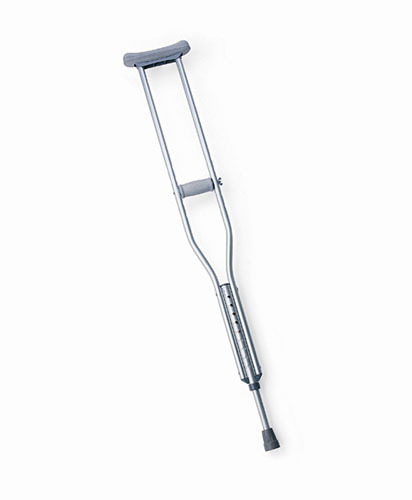 Durable, anodized aluminum frame with chrome crossbar. Folding width is only 4" for easy storage. Handle bar height adjusts 31"-38" from floor. Vinyl hand grip prevents hand from slipping. 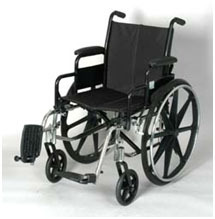 Equipped with locking silencer and nonskid rubber tip with molded-in metal disc insert for maximum safety. Anodized aluminum finish. 31"-39" adjustable height. 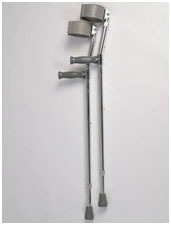 Lightweight crutches with push-button locks in desired height. 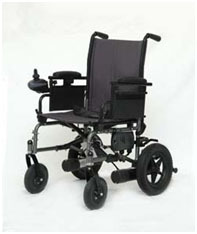 Features MK5 NX Electronics, Folds to narrow 13" for transport, Seat dimensions: 18" wide x 16" deep with 3 degree seat angle, Turning radius of 36", Maximum Speed of 4 mph, Adjustable height back (17"-18"-19") provides comfort and support, 3-year warranty on frame, 1-year on motors and electronics, Weight capacity: 250 lbs. Thick wall anodized aluminum tubing, Orthopedic Handle, Vinyl coated forearm cuffs, Push button spring locks on cuff and leg, Adjustable in 1" increments, Sold in pairs, Weight capacity: 250 lbs. 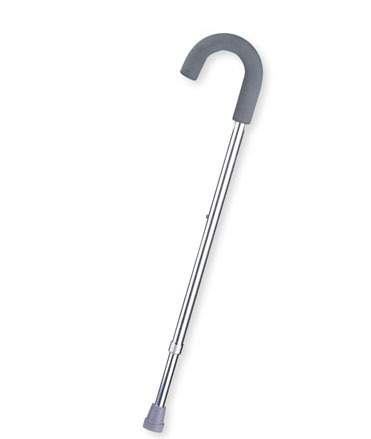 Anodized aluminum shaft with welded steel base. 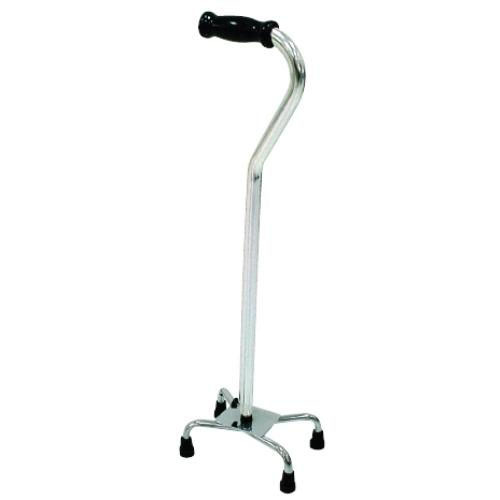 Offset handle provides balance and stability. Handle rotates for left or right hand use. Push-button height adjustment from 31"-40" in 1" increments. Cam lock system. Special Feature: Flip back/removable padded desk arm, Removable swing away footrest, Dual rear wheel axle position, Dual position front caster forks, Anti-tippers available on some models, Durable lightweight frame, Nylon flame-retardant Upholstery resists mildew, bacteria, and changes due to cracking from extreme cold or UV damage, Heavy duty liners in the back and seat prevents fabric from stretching, Compatatible with the leading manufacturers parts and accessories, Limited lifetime warranty on the frame, Weight capacity: 300 lbs., Weight 32.5 lbs. without footrest.